Confiado Carnelian symbolizes action, confidence and courage. It brings passion and strength to your relationships, your life and your work. Wear Confiado Carnelian when you have a job that must get done, when you need a lot of energy, when you need or want to feel confident and in control. Tudung Labuh Happy Marigold radiates optimism and energy. This hijab sparks creative thoughts and empowers you to find your personal strength. Wear tudung labuh Happy Marigold when you are striving for a goal. Check more hijabs at our fanpage. Tudung Labuh Pinku Pink provides feelings of caring, tenderness, self-worth, love and acceptance. Wear this hijab when you want to alleviate feelings of friction and present yourself as a calm, nonthreatening person. 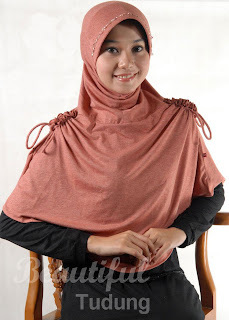 Tudung Labuh Soft Coral provide you mental stimulation and exposes the more friendly side of you. If you need to do some talking and socializing, this is the piece for you. 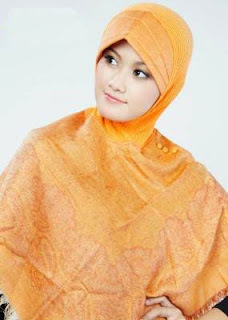 See more hijab on sale at our FB Fanpage. Puce Akahana inaugurate sophistication and serious but gentle mood. While still benevolent and feminine, it brings restrained power, determined ambition and dignified action. See more hijabs in other colour variants at Beautiful Tudung fanpage. 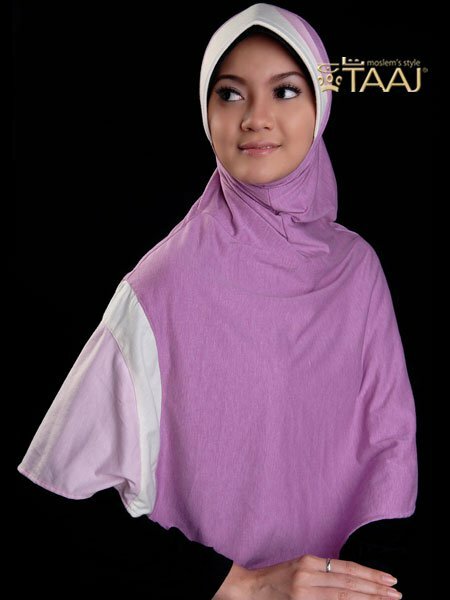 Tudung Casual Lavender is made of cool, comfortable cotton jersey. Adorned by circular fabric on the shoulders in matching colour as the awning. This beautiful hijab in a sweet shade of lavender is for the modern, modest Muslimah. Tudung Labuh Light Ash suggests efficiency, security and maturity. Wear this hijab to reduce the intensity of a striking attire, to experience a neutral, non-invasive feeling or to emphasize your willingness to comply. Kindly visit our facebook fanpage to view more hijabs on sale. 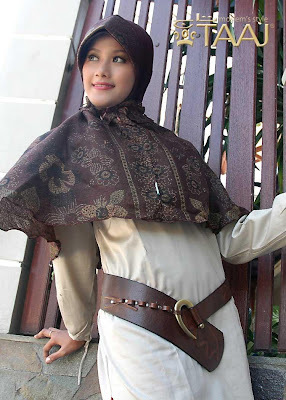 This hijab is a true demonstration of the innovative spirit in muslim fashion. Made for practical usage while not sacrificing syariah, fashion and comfort, it comes attached with cuffed sleeves and small jacket. So if you have a dress without sleeves or you need to be in a cold room or you simply love to be different, this hijab is the perfect answer. Lemon Chiffon, with a slight hint of yellow, encourages new ideas and helps to focus, study and recall information. It evokes mental clarity and can awaken greater confidence and optimism. Tudung Savvy Ficaria resonates with the left or logic side of the brain stimulating mental agility and faculties. Wear tudung Savvy Ficaria when you need to do a lot of thinking and produce new ideas. *Kindly visit our Facebook fanpage for more hijab on sale. Tudung Labuh Yellow radiates optimism and intelligence. Wear this hijab to elevates your happiness and sociability. Do visit our fanpage to view other colours. Faithful Blue makes you look cool, calm and quiet. Faithful Blue helps self-reliance, independence and loyalty. Also it encourages you to be faithful. See more Two Tones at Beautiful Tudung fanpage. Tudung Labuh Deep Lavender showcases your gentle and graceful nature. 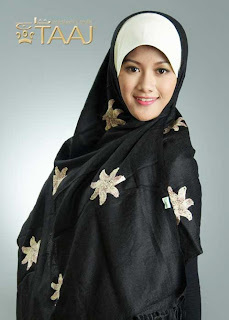 This hijab is made of cotton jersey with circular appliqués on one side. A sweet and simple hijab for the modest muslimah. Do visit our Beautiful Tudung fanpage to view more hijab on sale. Denim Indigo increases personal thought, profound insights, and rapid understandings. Wear Denim Indigo when you need to focus on personal issues and gain solitude for inner communication. Black Olinda gives you the feeling of independence and protection. Wear it when you lack will power and need a boost in self-image. 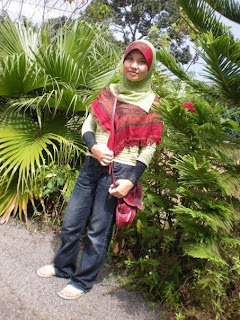 Tudung Labuh Green Moss symbolizes balance, self-respect and well being. It promotes learning, growth and harmony. Do check other hijabs on sale at our Facebook fanpage. Jungle Green offers a sense of renewal, self-control and harmony. Wear it when you need to relax mentally, as well as physically. See more hijab on sale at our Facebook fanpage. Tudung Bright Faqiha, with a slight hint of yellow, encourages new ideas and helps to focus, study and recall information. It evokes mental clarity and can awaken greater confidence and optimism. Tudung Cotton Candy reveals your thoughtful, delicate, and caring side. It accentuates your kindness and loving nature. Wear Tudung Cotton Candy anytime you need to be in touch with your feminine side. Tudung Barely Green manifest your gracious and well-mannered self. Muslimahs in Tudung Barely Green are the joiners of social groups, intelligent and compassionate. A friend that everyone needs. Walaupun ada tab "How To Order" di bahagian atas blog (seperti dalam gambar di sebelah), saya sering menerima soalan "Macam mana nak order?".. Semoga posting ini dapat menjadi panduan buat pengunjung Beautiful Tudung tersayang.. OK klik tab How To Order sekarang (ikut anak panah merah!). Tudung Labuh Quella Alfilda gives you the ability to love and nurture yourself and others unconditionally. Wear this beautiful hijab to see things from a new perspective or to make a fresh start. Do visit Beautiful Tudung fanpage to view more hijab on sale. Burnt Umber gives you a feeling of stability, solidity and wholesomeness. It allows you to blend with the background, unnoticed. Burnt Umber also creates a warm, comfortable feeling of naturalness and dependability. Afina Calida gives you a warm feeling of relaxation and home coming. Its dark shade provides self control and resilience. Cool Shizuko is neutral, cool and conservative.It also brings an air of formality and sophistication. Purple Chimera expands your awareness and connects you to a higher consciousness. Wear Purple Chimera when you need to fuel your imagination, remove perceived spiritual obstacles or calm down after a confrontation. Allegro Orange encourages independence of spirit and self-motivation. Wear it with red or yellow to boost your energy level. Wear it to complement a blue denim or a white blouse. Wear it to tone down the intensity of a black attire. Wear it any time, any way you want. Compartir Green is a sporty piece designed for active lifestyle. Compartir Green relates to stability and endurance, giving you persistence and the strength to cope with adversity. Rosa Esperanza brings you intuitive energy. Its' soft colour induces peace while the gray stripes bring strength and sophistication. Trim Persika encourages great communication and conversation. It inspires good manners and puts people at ease. Trim Persika offers emotional strength in difficult times and assists in recovery from grief. The colour is more pronounced in real life. Rosse E Verde combines two lively colour. 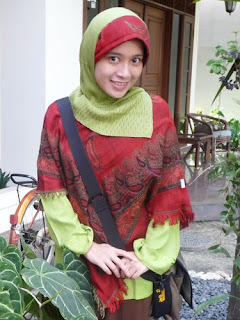 Red pashmina with batik motif combines with refreshing green, Rosso E Verde will lift your spirits and enhances your mood. Choose either one of the methods below. b) Email beautiful.tudung[at]gmail.com the code, your name & address . Wait for our confirmation email/SMS with invoice and bank account number. If you do not receive a reply within 6 hours, kindly check your spam box. Transfer the payment through online banking or cash deposit machine. If using cash-deposit machine just round the amount to the nearest ten. Please liaise with us for other methods of payment (credit card, western union etc). Inform us of the payment either through the bank's automatic notification system, email or SMS and we will deliver your tudung. Payment before noon will be dispatched the same day and most likely reach you the next working day insha Allah. Please be informed that delivery during festive seasons are subject to possible delays due to the volume of consignment en route. Tracking number will be provided if available. Items are non-exchangeable and non-refundable. Please think before you order especially about the size. Prices shown are in Malaysia Ringgit and excluding postage. Items will only be dispatched once payment is received. Payments must be made within 2 days after ordering lest the order will be cancelled. Payments made before 2pm will be dispatched on the same day. Buyer is responsible for the consignment once tracking number is provided. (eg to track at Skynet website or call Skynet in case of delay in delivery). Colour of the actual items might differ slightly from the images due to screen resolution and lighting. If you have purchased a Beautiful Tudung & find that you love the tudung. Care to comment below and share what you love about Beautiful Tudung. We will confirm the rate before sending the invoice. Buy 4 or more and enjoy free shipping. Applicable also to Sabah & Sarawak. The rates are for 1 - 2 pieces of Beautiful Tudungs. You can check the rate at Pos Malaysia. Each tudung weighs approximately 0.26 kg. Kindly take note that I ship to Peninsular Malaysia daily (Sunday to Thursday) at 2 pm. Please allow 1-3 days for shipping to destination other than Peninsular Malaysia.